Have your voice heard and have an influence on Clicks advertising, promotions and products in South Africa! It’s quick and easy to express your opinions on a range of topics. 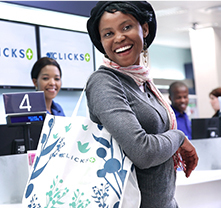 We are an online community of ClubCard and Non-ClubCard customers who regularly shop at Clicks. It is an outlet for you to share and express your opinions on a range of topics. About once a week we send out a short survey, to find out your opinions on various topics, which range from latest adverts, new products and surveys that will tell us more about you and what’s important in your life. In return for your time we’ll give you the chance to win exciting prizes. Have an influence on Clicks advertising, promotions and products in South Africa! What is a Clicks Customer Community Member? In short it’s an online research community where we send you an invitation via email to take part in surveys on a regular basis. But we like to think it’s much more than that… it’s a community consisting of exclusive members who love to shop health & Beauty. Those who join will have the chance to take part in interesting topics on a regular basis and see their influence in stores and online. So, what do you want to know from me? Why do we want to know all of this? Clicks is a service-oriented business, serious about getting closer to its customers. This initiative is all about ‘engaging with health and beauty audiences’, and reaching, understanding, and responding to needs & opportunities. In a nutshell, Clicks wants to be even better informed and knowledgeable about you their health and beauty audience. What do you do with the survey results? Our research teams use survey results to present to our clients. Occasionally we may post survey results on Twitter or Facebook. 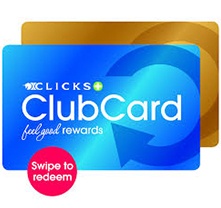 You stand the chance to win Clicks gift cards of varying amounts. We’ll also send you a monthly newsletter - thanking you for your time, and letting you know how we have used the survey results across the business. Will I ever actually win anything? The prize draw winners are picked out at random from an independent source. You’ll have to enter that particular survey to be in with a chance – and then the rest is down to luck. It’s completely up to you. Obviously we’d like you to take part in all of them but we know most people lead very busy lives. We'll always make sure our surveys are varied in both subject matter and length, to try and keep it as interesting as possible! It depends really - sometimes we may need a really quick response to a question, and so only have the survey open for a few hours, while other surveys will be open for a week. We will always let you know in the email invite how long the survey will be open for. Will I have to do anything else? From time to time we may invite you to take part in other research projects for us. These could be online discussion forums or ask you to send in photos or videos of you out and about if you wish - but don't worry we'll never force you to do anything! Will you pass on my data to other companies? What if I want to leave, how do I do this? What if I’m having technical problems/forget my password? Please click on the Technical Support link found in the bottom left corner of the community login page here. Here you can contact our Technical Support team directly with any queries or general comments. If you cannot remember your password, simply click on the “Forgot password” button on the community login page to have it e-mailed to yourself. If you continue to experience problems you can click on the Technical Support link in the bottom left corner of the page. 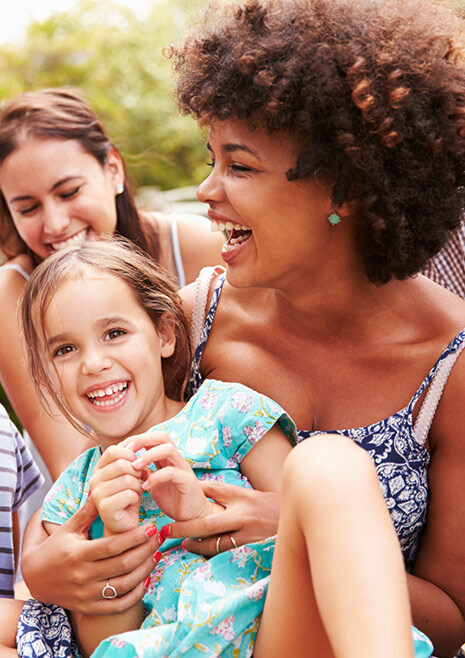 Welcome to Clicks Customer Insights Community, an online platform (“Website”) whereby you can participate in surveys and discussion forums, receive feedback and newsletters, and stand a chance to win various prizes. These Terms and your use of this Website shall be governed by the laws of the Republic of South Africa and the parties to these Terms are you and Clicks. By continuing to use this Website you accept these Terms. Save for any liability which may arise in terms of applicable law, Clicks will not be liable for any loss, damage or expense arising from the use of or reliance upon the information provided on this Website and does not guarantee the completeness or accuracy of the information contained on this Website. You consent to the exclusive jurisdiction of the High Courts in the Republic of South Africa in respect of any disputes arising out of your use of this Website or in respect of these Terms. Clicks reserves the right to amend or replace these Terms from time to time. Any amendments to these Terms, or the new Terms, as the case may be, will be published on this Website. You are only granted a limited right to access and make personal use of this Website. This right does not permit you to reproduce, distribute, sell, modify or otherwise use the content of this Website, or any portion thereof, for any public or commercial purpose, without the prior written consent of Clicks, or as provided for in these Terms. By accessing this Website you agree to be bound by and to adhere to these Terms. Should there be any provision in these Terms that you do not understand, the onus is on you to ask Clicks to clarify the relevant provision to you before you accept the Terms. The manual published in terms of section 51 of the Promotion of Access to Information Act 2 of 2000, can be downloaded from http://www.clicksgroup.co.za/legal/legal.html. This Website is provided by Clicks “as is” and Clicks makes no representations or warranties as to the operation of this Website or the content thereof. Clicks does not warrant that the service from this Website will be uninterrupted, timely or error free. Clicks does not warrant that this Website, its server(s) or any electronic mail sent from this Website are free of viruses or other harmful components. You are solely responsible for the protection of your hardware and software from viruses and other harmful components. No person, business or website may link to this Website without prior permission of this Website. The inclusion of any link on this Website to any other website does not imply endorsement by Clicks of that linked website or any services or products offered on that linked website. Comments, discussions, suggestions, reviews or feedback (“Comments”) via this Website must not violate the right(s) of any third party, including intellectual property, privacy or other personal or proprietary right. Comments containing any defamatory, unlawful, abusive or obscene material will be deleted at Clicks’s discretion and the contributor of such Comments will remain accountable towards any third party to whom harm has been caused. Clicks and its third party service providers shall not be responsible, and shall have no liability to you, with respect to any information or materials posted by others on this Website. Clicks does not necessarily endorse or agree with the Comments posted on this Website. Comments posted on this Website are reflective of the views of the contributor thereof and do not necessarily represent the views of Clicks or its third party service providers. Please note, however, that your Comments will become the property of Clicks and Clicks will not be limited in the use of any of your Comments. Clicks will not compensate you for any Comments made via this Website. Neither Clicks nor any of its employees, agents or affiliates shall be liable for any damage or loss of any nature, and howsoever arising, including out of the use of or inability to use this Website, any reliance placed on the content of this Website or any website which is linked to this Website by a hyperlink. By using this Website you indemnify Clicks, its employees, agents and affiliates against all such losses and damages. Clicks reserves the right to suspend this Website or any part thereof or to terminate your account at any time if Clicks deems that you are not using this Website in compliance with these terms. You must be 18 years or older to participate in the Clicks customer community on the Website. You will need to provide your personal contact details (i.e. name and email address) in order to participate in the Clicks customer community on the Website. Once you have completed an online profile and registered, you agree to keep your username and password secure and confidential. Complaints and claims must be brought to the attention of Clicks by calling the Customer Service Centre on 0860-254-257 (within South Africa) or +27 21 460-1009 (outside South Africa) (Monday to Friday, 07:00 to 18:00 and Saturdays, 09:00 to 13:00), or emailing service@clicks.co.za. Special terms and conditions apply to all promotions and competitions run by Clicks. Competition terms and conditions can be viewed under each respective competition on this Website. Clicks may at their discretion release printed or digital promotional or discount coupons (“coupons”) from time to time. Such coupons may be available through the Website and/or third-party websites, in magazines and other media. Coupons are issued with specific terms and conditions that regulate how and when they can be used. The onus is on you to check the full coupon terms to ensure that you understand these terms. Reliance on any information provided on this Website is solely at your own risk. The content of this Website is provided as a service to you for educational purposes only. It is not intended to be a substitute for professional medical advice, diagnosis, or treatment. 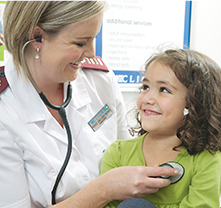 If you are experiencing symptoms, or need medical advice, you should seek the advice of your healthcare professional. It may be necessary for Clicks to disclose your personal information [as defined in the Protection of Personal Information Act 4 of 2013] to our employees, divisions or associates, suppliers, business partners who participate in ClubCard (“Affinity Associates”) and third party service providers who assist us to interact with you via our Website, email or any other method. By disclosing or submitting your personal information to us you consent to us processing your personal information for the purposes described in these Terms. This includes: (a) your personal information being processed by Clicks within the Clicks database; (b) your personal information being shared within the Clicks group of companies; (c) your personal information being shared with Affinity Associates and third parties who have a strategic marketing relationship with Clicks; (d) receiving printed and electronic marketing material to inform you of special offers and products that may be of interest to you; and (f) receiving marketing material from Affinity Associates and third parties who have a strategic marketing relationship with Clicks. The information provided to Clicks via this Website is processed and recorded in Clicks’ computer system. You have the right, in accordance with the relevant legislation, to (a) obtain access to your personal information held by Clicks; (b) to request the correction, destruction or deletion of your personal information held by Clicks; and (c) to object to the processing of your personal information. It furthermore remains your responsibility to inform Clicks of any changes to your personal information. You may opt-out of any direct marketing received from Clicks should you so elect, by notifying Clicks thereof in writing, alternatively, telephonically via the Clicks’ Customer Service Centre on 0860 254 257 or +27 (0)21 460 1009. In addition, you may object to your personal information being shared with Affinity Associates or third parties who have a strategic marketing relationship with Clicks, by notifying Clicks in writing of such objection, alternatively telephonically via the Clicks’ Customer Service Centre on 0860 254 257 or +27 (0)21 460 1009. If you object to your personal information being shared with Affinity Associates or third parties who have a strategic marketing relationship with Clicks, prior to the information being shared with such Affinity Associates or third parties, Clicks will not disclose your personal information to Affinity Associates or third parties. If you object to the sharing your personal information subsequent to the information being shared with Affinity Associates or third parties, Clicks will instruct such Affinity Associates or third parties to destroy or delete all records containing your personal information and to refrain from retaining any record thereof. You will only be contacted should you subscribe to our newsletter updates, like us on Facebook, indicate via e-mail that you wish to be informed of special offers and/or other offers. This Website server will collect the IP addresses of visitors who access this Website. All material on this Website (editorial and audio-visual) is protected by copyright. All the Website’s intellectual property rights are specifically reserved.